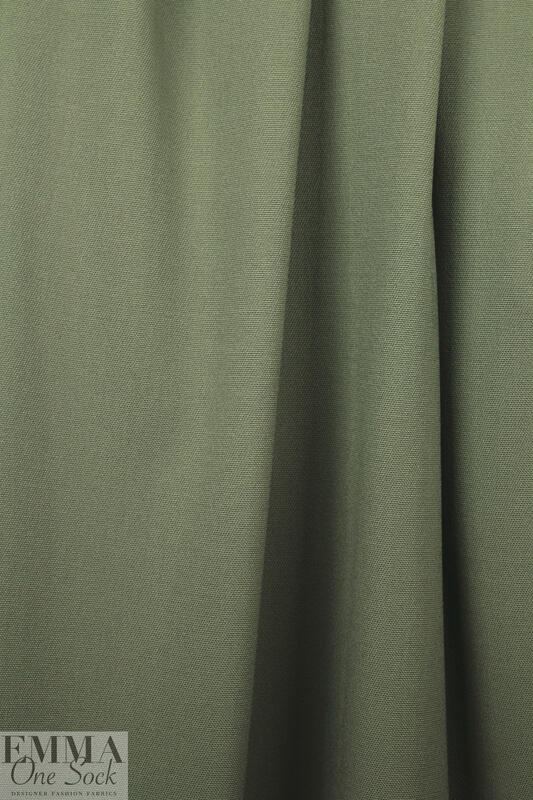 From Italy, this is a beautiful textured wool twill weave, with a pleasing micro-pique' texture on one side and the twill weave on the other. 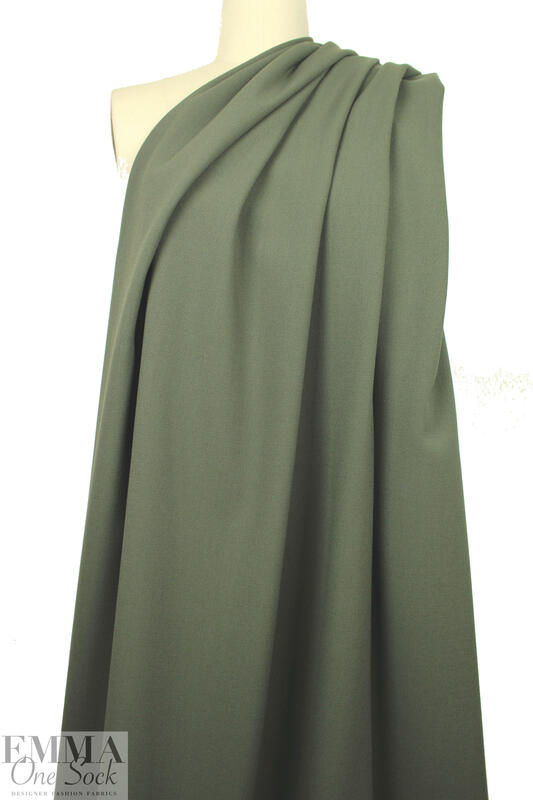 It has about 30% width-wise stretch, and is medium weight and opaque with some body in the drape. 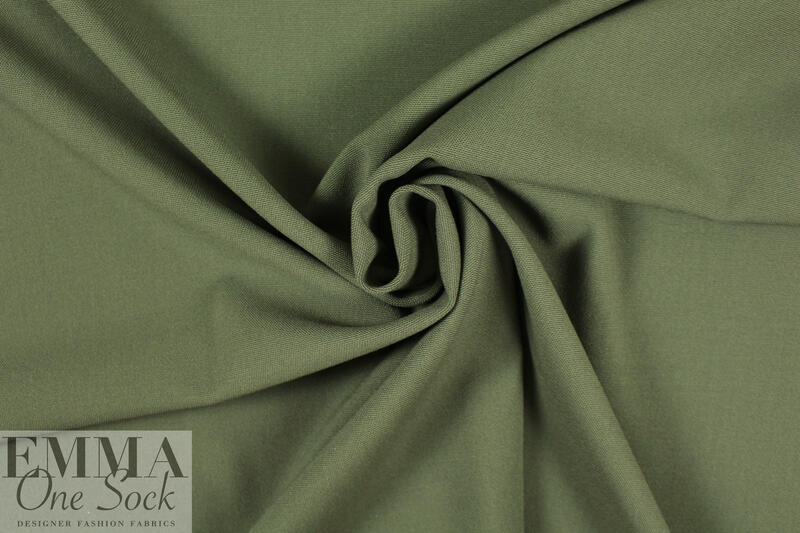 The color is a loden or army-ish green (PANTONE 19-0512). It would make a gorgeous and sophisticated coat or jacket, stretch jeans, pencil skirt, etc. Dry cleaning recommended.